Look forward to another year without a Big Love Rocket, because it’s about to get harder to get your holiday mounts. 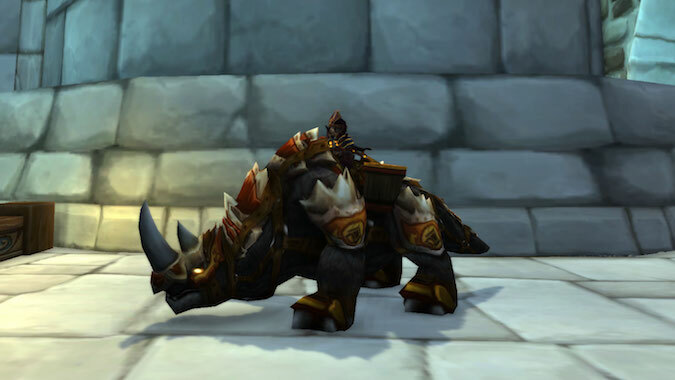 While many mount collectors ran holiday dungeons with as many alts as possible to have a chance at these limited-time mounts, drops are about to be a little more limited. Starting with Love is in the Air, holiday mounts will only drop for players who are level 110 or higher. For better or worse, that means probably won’t get to do as many alt runs — or get as many chances at these mounts. Is that a sigh of relief that you don’t have to run all of your characters through these special dungeons for holiday mounts, or a moan of frustration that you can’t run all your characters through these special dungeons for holiday mounts? This change makes the cap for the mount 10 levels below maximum character level instead of the former 12 levels. I’m not sure about this change. I’m not the target audience, just so you know. I have two characters over 110 and that’s it. I just don’t play my alts much so they aren’t leveled. Still, I could, if I wanted to, drag alts through these dungeons and know there was a chance they could get a drop — plenty of other players certainly did. Since mounts are account wide — excepting specific ones — this was a win for me. This change is just a head scratcher. Is this a drive on Blizzard’s part to get more people to level to endgame? Or are they attempting to keep us safe from ourselves by limiting the number of characters — and the endless hours — we might spend running these these dungeons? People who don’t have this mount but have a stable of over 110s aren’t going to change how often they log in to run content with a chance at something special. If I have to be 110 to run this content, won’t that make some of us log in more frequently to get the last few levels? I won’t, but some of you will. Personally, I think it’s a stupid change. There was already a level limit. The idea that you can’t take your alts smacks — in my opinion — of Blizzard removing the fun factor. My guild always put together low level runs because the dungeons scale because we knew there was the chance someone could get the mount and that made the run sweeter. I’m also betting the drop rate on these mounts won’t be increased to compensate for the level change. I’m not going to change how I play for this, but what are your thoughts?